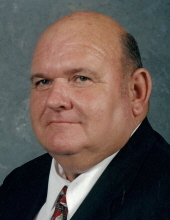 Bucklesberry-Julian Thomas Sutton, 73, passed away Tuesday, February 5, 2019. Thomas was born to the late Herman and Catherine Thomas Sutton on March 29, 1945. In addition to his parents, Thomas was preceded in death by his first wife, Elizabeth Gaskins Sutton. Thomas was Bucklesberry through and through. Living in the same community since birth, he loved the country life and was proud to be a lifelong farmer. Thomas knew early on that he wanted to be on the farm. He often told the story of the day he rode home on the school bus, tossing his textbooks out the window as it rolled down the road, knowing that a farmer’s life was the only life for him. For decades he worked the land, reaping all that he had sewn. The soil was in his blood and he was determined to invest in it year after year. If you were riding through the area, you were sure to see Thomas on his golf-cart. His neighbors thought of him as their security system, as he was always driving his golf-cart, checking out the crops and monitoring the community. Some of his favorite times were spent with his Bucklesberry friends, whom he considered family. Nothing was better than the hearty aroma of a pig cooking on the grill while friends and family gathered for good food and fellowship. Always smiling, Thomas was known to be quite sociable. Whether he passed you on the road or you drove past his home, he was quick to give you a wave. When asked why he would always wave no matter where he was, he’d respond, “Because they might be lookin’ this way.” With Southern hospitality, Thomas won over everyone he came in contact with. A service to remember Thomas’s life will be held Thursday, February 7, 2019 at 7 p.m. from the chapel of Rouse Funeral Home. Burial will be Friday at 10 a.m. at Pinelawn Memorial Park. Thomas is survived by his wife of 16 years, LaRue Howell Sutton; step-children, Sherri Howell Woolard and husband, Rev. Kevin Woolard, Michelle Howell Dawson and husband Chris Dawson, and Joshua Howell; step-grandchildren, Kristen N. Woolard, Hannah R. Woolard, and Dani N. Dawson; a sister whom he loved and spoke with daily, Anne S. Sutton and husband, Woody Sutton, Sr.; nephew, Woody Sutton, Jr. and wife, Melissa; great-niece, Taylor Kite and husband, Aaron; and great-nephew, Brandon Sutton. A niece, Sallyanne Sutton, preceded Thomas in death. Family and friends will be received Thursday following the service. Memorials may be made to Emmanuel Free Will Baptist Church, 5975 US 70 East, La Grange, NC 28551. Online condolences may be expressed at www.rousefh.com. Arrangements are entrusted to Rouse Funeral Home, La Grange. To send flowers or a remembrance gift to the family of Thomas Sutton, please visit our Tribute Store. Time Of Visitation Will Follow Service. "Email Address" would like to share the life celebration of Thomas Sutton. Click on the "link" to go to share a favorite memory or leave a condolence message for the family.